USCIS will no longer take into consideration the fact that a visa petition was previously approved. 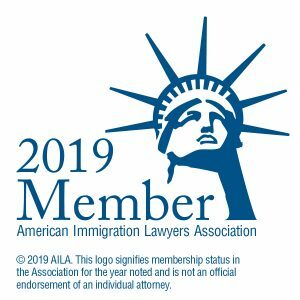 Even if an applicant is extending an approved status without change in the circumstances that justified the prior approval, an immigration officer may deny the extension. This change will result in inconsistent adjudications and denials of extensions for cases that were already approved by one or more officers. Immigration officers may now deny visa applications without notifying the companies or applicants and without asking for clarification or information to be submitted. Previously, if the immigration officer questioned the approvability of a petition, USCIS would issue a Request for Evidence or a Notice of Intent to Deny. Either of those informed the employer or applicant how USCIS viewed the petition and what concerns it had. Commonly, the attorney was able to respond by explaining why a denial would be erroneous and/or submitting additional evidence. Now petitions may be denied outright with no notice or opportunity to respond. If an immigration officer denies a petition, nearly always that decision can be requested to be reopened and/or reconsidered, or appealed. Likewise, a new petition may be filed. Depending on the specifics of the case, an applicant may leave the country and decide whether to re-apply through a U.S. consulate abroad. For all of these reasons, if a petition or application were denied in the past the applicant was not put into removal (deportation) proceedings. Now, however, anytime an immigration officer denies a petition or application, and the denial will leave the person without other lawful status, the applicant will be put into removal proceedings–notwithstanding that the decision could still be appealed and so isn’t final. Once in removal proceedings, the applicant cannot leave the country. Doing so may constitute a removal (deportation) with resulting bars to re-entry. Instead, the applicant must address the removal proceedings at a minimum by pleading to the charges and requesting voluntary departure, which does not have the bars to re-entry that a removal does, or by seeking any relief for which he may be qualified. Never blindly plead to the charges without qualified legal counsel due to other possible future consequences. The immigration courts are backed up for years. An experienced immigration attorney is essential to address the situation. The Administration has announced its intent to eliminate employment authorization for certain spouses of H1B visa holders. This has not actually gone through yet, though the intent has been announced. H1B visa holders are skilled workers in a specialty occupation. Often their spouses are also highly-skilled. Forcing the spouse to give up their own career is at a minimum unfair to that person and a waste of skilled human capital, and may also inhibit highly-skilled workers themselves from coming to the U.S. Thus, the government previously deemed it appropriate that the spouses of H1B visa holders, under certain circumstances, may also obtain authorization to work in the U.S. Now the government intends to end that benefit, forcing the spouses to abandon their own highly-skilled careers and lives they have built contributing to the U.S. According to the Bureau of Labor Statistics, the unemployment rate at 3.9% is the lowest in a generation. https://data.bls.gov/timeseries/LNS14000000 An unemployment rate of 5% is considered to be full employment. It is desirable that there always be some amount of unemployment to provide for changes of jobs and normal movement. If the unemployment rate falls below the rate considered to be full employment, there is an imminent risk of inflation. Wages need to rise to attract workers and in turn the cost of the products they produce and services they provide likewise increases, and we’re off into an inflationary economy. A steady flow of workers is needed– now– to maintain a healthy balanced economy. Each immigration petition and application absolutely should be evaluated on its merit based on reasoned, consistent, justifiable considerations, and abuse should be punished. But nonsensical Requests for Evidence such as one received by a colleague stating, ‘show how receiving a Grammy Award for Sound Engineer establishes the person is of exceptional ability in sound engineering,’ must be halted in favor of rational adjudications. Neither should Requests for Evidence simply be replaced with an outright denial and, worse, removal proceedings. Doing so adds straws to the back of the Administrative Appeals Office and the Immigration Courts that are already breaking. This author had a case reset by the court—at the court’s request—seven times. Continuing a case for over six years constitutes denial of due process. Now the government will pile on tens of thousands more cases of the type of applicant who typically simply would have left the country in the past. We’ve already seen the damaging effect of recent policy changes. Legacy INS (now USCIS) had determined that interviewing employment-based green card applications was a waste of resources, because by that step in the process the case had already been examined by the Dept. of Labor and USCIS. In October 2017, however, they piled all those cases into the interview line without providing any additional resources including officers or office space to manage the influx. In Seattle we’ve seen processing times go from 90 days from filing to interview to 1 ½ years! These are the already-occurring consequences of recent policy changes, and those listed at the beginning of this article are only going into effect next week. Those who would route out foreign nationals no matter who or what they contribute claim the system is broken. The punitive policies, rather than mending or strengthening a lawful system, will take the broken pieces and shatter them, shattering the economy to boot. Policies that allow a reasonable flow of expertise, employees, and close family members provide the foundation for stability and growth for everyone’s benefit.